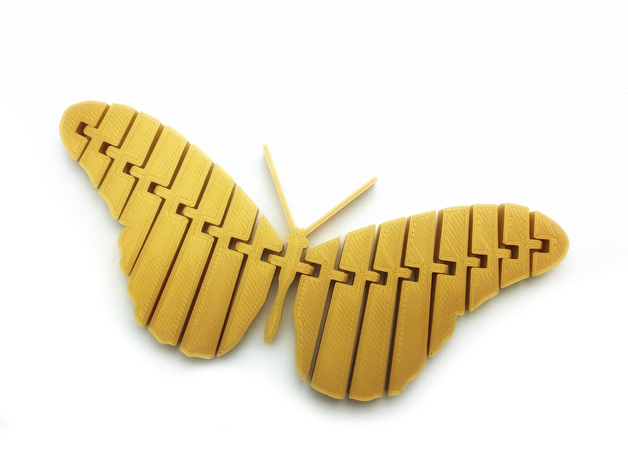 Articulated Butterfly #3DThursday #3DPrinting « Adafruit Industries – Makers, hackers, artists, designers and engineers! I can’t get enough of these articulated animals and wanted to try making one. I don’t have much experience 3D modeling, but managed to hack this out in Tinkercad. My daughter is floored by the idea that we can contribute something back to Thingiverse and that people all over the world can now print this. If you make one, please post a make!